Heliostat concentrating solar power systems reflect the light from multiple mirrors to a single point where the intensity is sufficient to generate steam to drive a turbine. The mirrors are usually tilted and rotated to reflect the sunlight from a large area to a single collector. The mirrors can be a long distance from the collector so a small angular position error can cause the reflected light to miss or partially miss the collector. As such a high accuracy inclinometer sensor is needed to measure the heliostat’s pitch angle. It is important to maintain the accuracy over a range of temperatures and over time to ensure the long term performance is maintained. 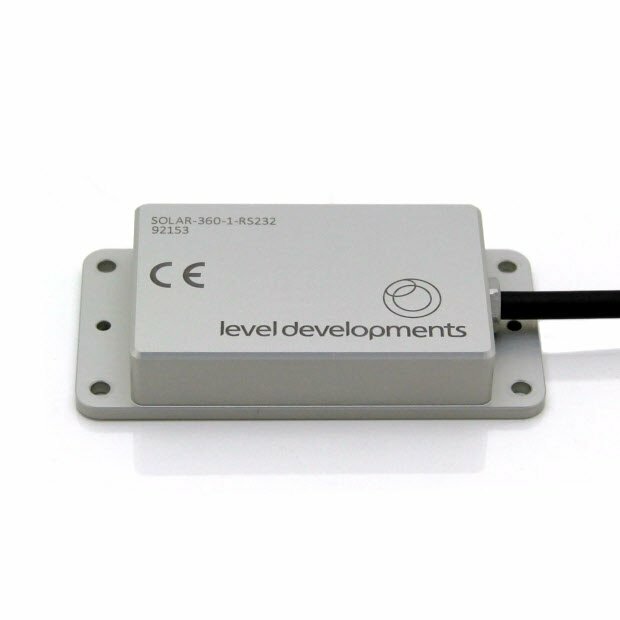 Our SOLAR- 360 sensors will achieve the required performance and can be further enhanced by pairing these sensors with a precision levelling sensor. This can be implemented to enable automated calibration and zero drift compensation. We can also provide customised designs based on this product with the aim of improving system integration, or to replace an existing product with a directly compatible device. Our expertise and experience in this field means we can offer short development times with right first time prototypes.